Many people think that the high number of doomsday predictions focused on 2012 mean that something is due to happen this year. Some of these predictions derive from the calculations by ancient races, translated into the modern calendar. Others reflect signs of the apocalypse as mentioned in the Bible. Knowledge of these predictions and prophecies may be useful: while some of them may be completely false, others may contain signs and metaphors that will help you to be prepared for the upcoming event. The “end of the long days,” as predicted by the Mayans several millennia ago, is one of the enduring doomsday predictions of the twenty-first century. The prophecy states that a catastrophic event will occur on December 21 2012. This prophecy has been calculated from Mayan knowledge of sunspots, and the event will apparently be due to a sudden reversal in the earth’s magnetic field caused by a massive solar flare. Nostradamus was a French medical doctor who lived in the early part of the 16th century. He was convinced that he was able to predict the future, and certain interpretations of his writings have been thought to point to 9/11, World War 2 and the Great Fire of London. His doomsday predictions for 2012 include a series of natural disasters as well as the possibility of a comet striking the earth. NASA has recently confirmed that the Sun’s magnetic field has shifted from north to south, which may bring an increased number of solar flares. They also believe that the earth’s magnetic poles rotate on a frequent basis. This last happened almost 750,000 years ago, and some scientists believe the next occurrence is long overdue. Such a shift would wipe out most of the world’s electronic equipment, as well as playing havoc with the weather systems. More on the magnetic shift. The Hopi are a Native American tribe who settled in North America around 700 A.D. They hold one of the longest doomsday predictions, forecasting that when the Blue Star Kachina appears in the sky, a day of purification will begin and the next world will start. Some people believe this star has already been seen, while some are waiting for a bigger cosmic show to bring the prophecy to life. Many people believe that a planet, Niburu, has entered the outer reaches of our solar system in recent years, and that the planet is slowly being drawn into the Sun’s gravitational field. 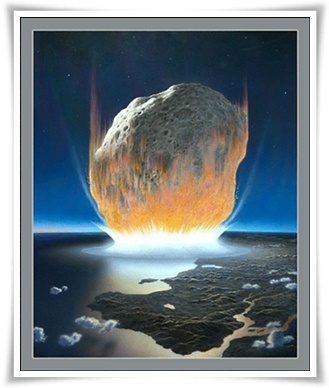 The new trajectory for Planet Niburu supposedly will coincide with Earth’s usual course later in 2012, which will cause a similar level of extinction to that which happened to the dinosaurs millions of years ago. Sir Isaac Newton was a famous physicist who lived in London, England in the 17th century. Newton is most famous for his work surrounding gravity but also spent a lot of time writing about religion. Newton’s interpretation of the Bible and the apocalypse lead him to predict that the end of the world will occur in 2060. He used dates mentioned within the books of Revelation and Daniel to cast forward. However, he didn’t predict the total end of the world, just the end of the world as we know it and the start of a new world of divinely inspired peace. These are just a few of the more interesting and well thought out doomsday predictions. While some may be proved wrong in the near future, the sheer number of them may predict that some sort of cataclysmic event is coming our way. Your survival preparations should take into account that the apocalypse, when it comes, may not be a nuclear attack or an alien invasion but may be something more devastating that will lead to a lack of power and the breakdown of society.